At the opening of the Environmental Photographer of the Year exhibition I was announced as winner of the Video of the Year for Shaking the Tree. The photos and videos in the exhibition at The Royal Geographic Society were selected from over 3,000 entries. I’m thrilled to be a part of it, it’s the biggest accolade that I’ve received. Here I am in the photo talking to employees of one sponsor, Atkins Global. The film documents how one man inspired an army of fruit harvesters in his local community. Michael and his team of enthusiastic volunteers gather tons of apples and pears each year which would otherwise rot. Too many to eat themselves, they put them to creative use by engaging with high street shoppers and residents. 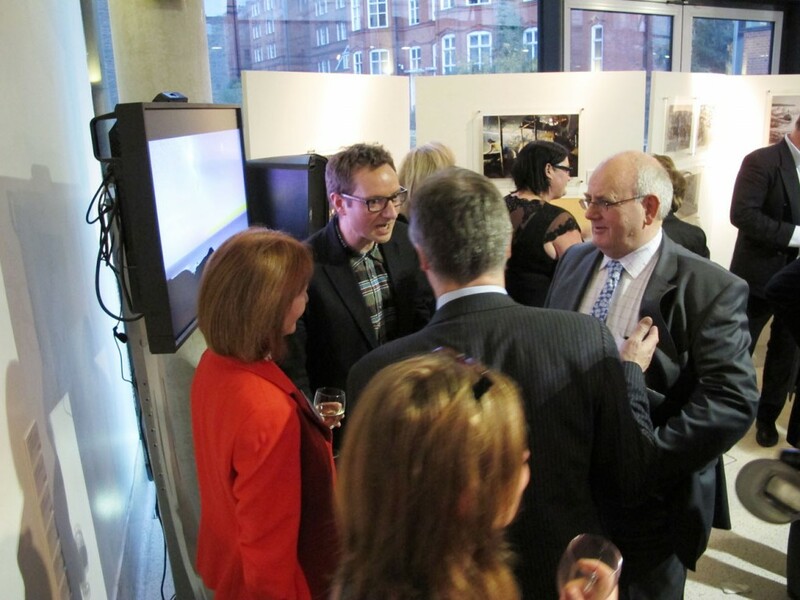 Thanks to the star Michael Stuart and all responsible for making the exhibition happen.